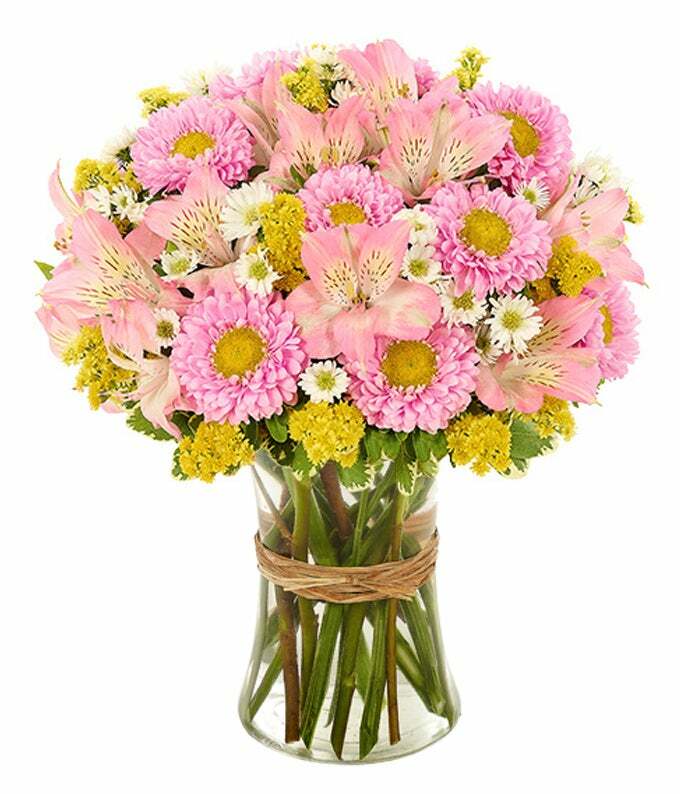 Send a ray of pink sunshine to a special lady in your life with this precious bouquet of pink blooms. A great gift for a Birthday, Thank You or Just Because! Arrangement Height 13", Length 12"